For prospective students and families wishing to visit the OSU-Corvallis campus. Come see what an OSU student's typical day is like. You will have the opportunity to learn about our academic programs, tour the residence halls, and take a student led tour of campus. Our friendly TOUR Ambassadors are happy to assist you in planning a personalized campus visit. If you are a counselor looking to check out OSU, please register here. We have several full-day programs during the year to provide you an in-depth look at OSU. You will have the opportunity to meet with current students, learn about the admissions process, next steps for admitted students, explore different academic interests, find out about our on-campus living options, and much more. For groups like Gear Up!, TRiO, etc. and high school or community college groups. If you have a group of prospective students you would like to introduce to OSU, we can provide a guided campus tour and an admissions presentation on a space available basis. 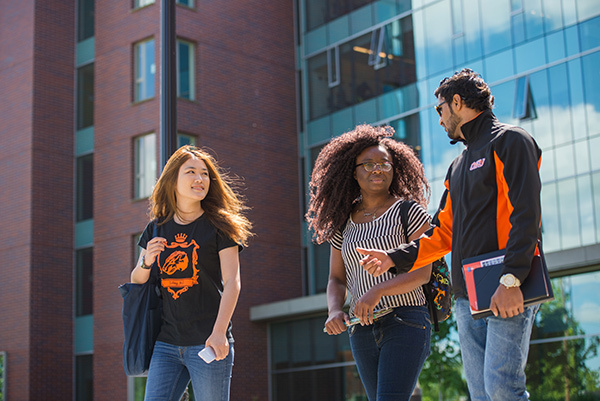 U.S. News & World Report names Oregon State among the "Best Global Universities." 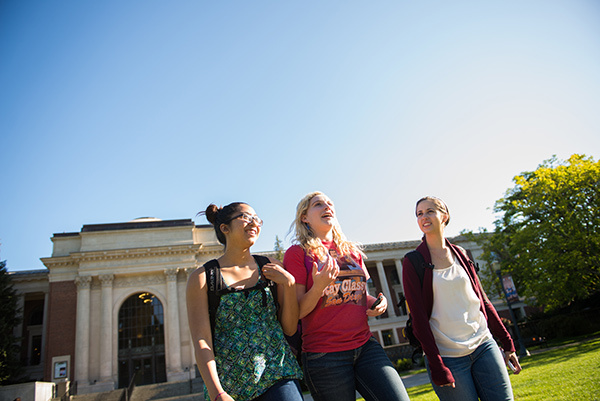 Oregon State provides countless research, internship and study abroad opportunities for undergraduate students. Finding the right college fit is a process which can be greatly helped by a campus visit. 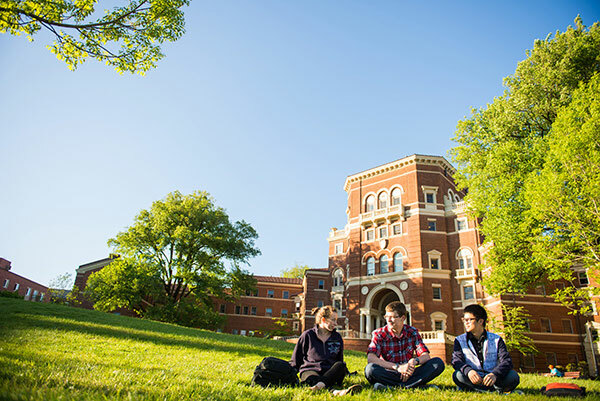 We encourage you to visit Oregon State University to get a feel for the campus atmosphere and its wonderful amenities. The Oregon State University Welcome Center is located on the first floor of the Beth Ray Center for Academic Support at 671 SW 26th Street in Corvallis, Oregon. Hours: 8am-5pm, Monday through Friday, excluding major holidays. 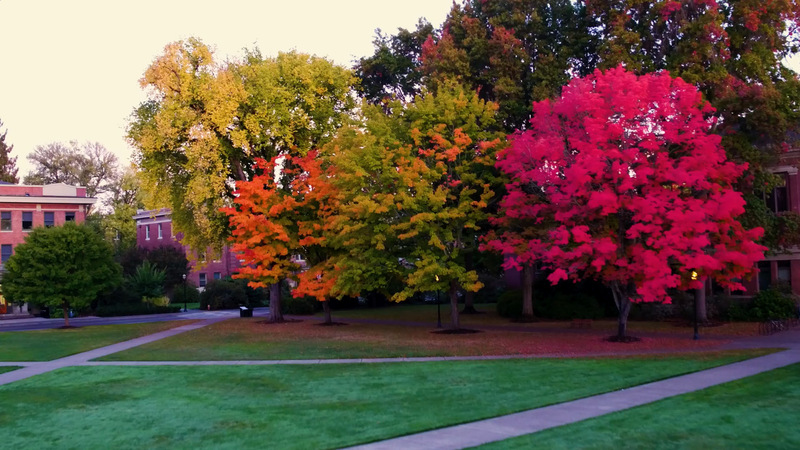 Campus tours are offered Monday through Friday at 9am, 11am, 1pm, and 3pm. The Welcome Center will be closed Monday, November 12 for Veterans Day, December 21-26 for winter break and Tuesday, January 1 for New Years. Getting Here: For daily tours and individual visits, check in at the Welcome Center (GPS: 671 SW 26th St, Corvallis, OR 97331). For Fall Preview, Beaver Open House, and Spring Preview events, park in the parking garage (GPS: 725 SW 26th Street, Corvallis, OR 97331). Parking: Complimentary parking for Welcome Center guests is provided via a parking permit. Registered guests can access the permit with their email used for registration online. Visitors can park in floors 1-3 of the parking garage, or in any B or C zones using the supplied permit. If you forgot your parking permit, please pick one up at check-in. Here is a map for your reference. Please call us at 541-737-2626 if you need any assistance.